As the areas Brake Specialist, for over 40 years our Certified Brake Safety Experts have been dedicated to providing the best brake service in the Everett marketplace. When it comes to your brake safety and satisfaction, there’s no one who cares more than Conaway Motors Brake Safety Experts. 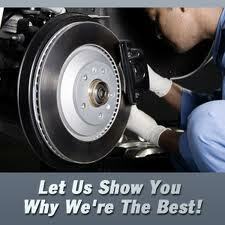 Call us today for a FREE visual brake inspection and a great deal on your Everett Brake Service.